Fast approaching events you’re NOT going to want to miss. Tune in to NPR’s First Coast Connect 89.9FM. Guests, Koula Karalis Redmond of BikeJax & JBC and Garf Cooper of ZenCog, will be talking about all things bike, including but not limited to: Bike Month in May, the Mayor’s Bike, and some of the most common and area-specific problems cyclists and pedestrians struggle with in the 904. ZenCog, The Jacksonville Bicycle Coalition, and Bike Jax will be gifting a bicycle to the City of Jax! Many of you regular riders are aware of the drastic need for better cycling and pedestrian infrastructure, great awareness, and perhaps most of all, better relations between cyclists and motorists. The intention of this gesture is to help the new administration become more attuned to the issues Jacksonville has been struggling with for years regarding safety for its citizens who find themselves out and about and not behind the wheel of a car. 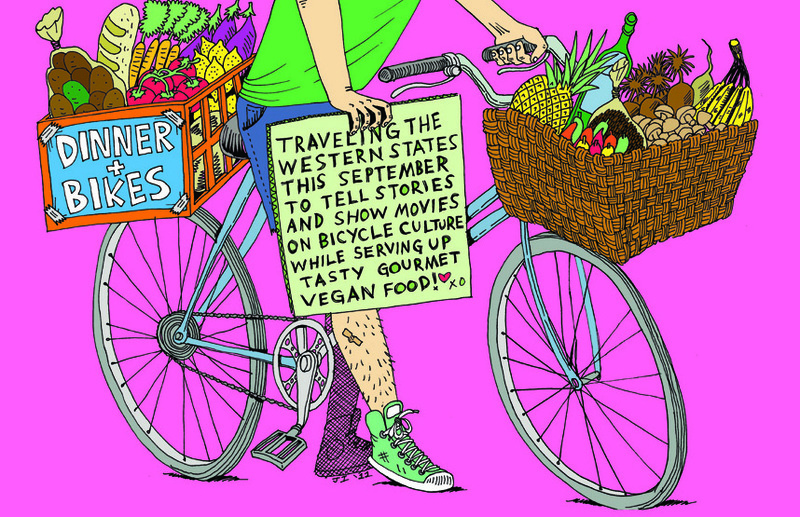 Take a fun group ride with friends and family and get your bikes blessed! The group will be meeting up at Riverside Arts Market at 8:00am. 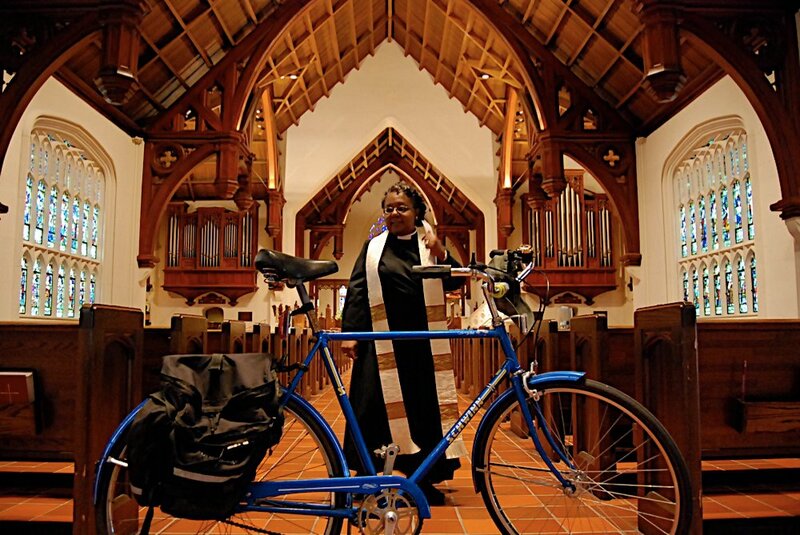 Then we’ll be riding over to Good Shepherd Episcopal on Stockton Street in Riverside for the blessing at 9:00am. After the blessing, we’ll continue our ride in Riverside and Avondale. All bike types and ages are welcome. Helmets are recommended for adults and mandatory for children 16 and under. The RAM Ride is a weekly family-oriented ride which meets each Saturday morning at 9:00am at the Riverside Arts Market area under the Fuller Warren Bridge. 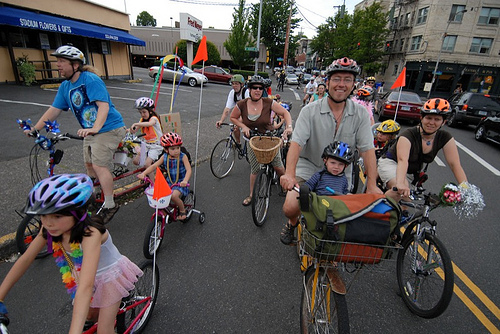 This RAM Ride (on this day known as Kidical Mass) will be a particularly special one where even more children will be encouraged to participate. The purpose of Kidical Mass is to serve as a reminder to motorists that bikes are one of the most common modes of transportation for children and that one must always drive slowly and watch for children in neighborhoods and rural areas. ← The Killer Commute: Studies show commuting by car for long periods of time is bad for your health.